Cheryl A. Falvey: Product Risk Management/Class Actions Lawyer: Washington, D.C.
Cheryl A. Falvey is a partner in the Mass Tort, Product, and Consumer Litigation Group, a leader in the firm’s Digital Transformation initiative, and a member of the firm’s management board. An experienced trial lawyer, she defends class actions, unfair competition, product liability and other mass tort claims arising out of consumer, occupational, and environmental exposures, as well as antitrust, trade secret, intellectual property, and other technology litigation. She also provides brand and consumer protection counseling services, with a focus on product safety and security, including the Internet of Things; privacy; anti-counterfeiting; and digital media, including sweepstakes, promotions, and advertising. Ms. Falvey represents a wide range of clients, from emerging companies to multinational Fortune 500 conglomerates, in the automotive, chemical, consumer products, fashion and apparel, food and beverage, retail, and technology industries. Ms. Falvey was named to the National Law Journal's 2014 list of Governance, Risk & Compliance Trailblazers & Pioneers. Ms. Falvey helps clients launch innovative new products while protecting their brand and reputation, avoid and defend liability in the marketing of their products, build safety and security into their products with science-based risk assessment, and successfully navigate product safety challenges with rapid response. She represents clients on litigation and counseling matters regarding compliance with statutes and regulations enforced by the CPSC, Food and Drug Administration, National Highway Traffic Safety Administration and the Federal Trade Commission. She handles product recalls conducted in cooperation with NHTSA, CPSC, and FDA, and defends clients in agency enforcement actions. She also advises manufacturers faced with the potential release of unfair and inaccurate information by the government. Additionally, she counsels and defends clients on the sale and marketing of consumer products on the Internet, including compliance with the Children's Online Privacy Protection Act, the FTC's Green Guides, state and federal privacy laws, and the statutory and common law rules regarding sweepstakes, online promotional and advertising activities, and charitable raffles. Prior to joining Crowell & Moring, Ms. Falvey served as the general counsel of the CPSC. In that capacity, she oversaw all federal court litigation, including civil and criminal cases referred by the Commission to the Department of Justice. She also helped assure that the Commission complied with all applicable federal laws, including the Administrative Procedure Act, the Government in the Sunshine Act, the Privacy Act, and the Freedom of Information Act, and the Commission's own internal rules and directives. She handled issues related to the Commission's unique information disclosure regulations, its use of social media, contests and sweepstakes, and advised on issues related to privacy, anti-counterfeiting, preemption of state law, e-rulemaking, international regulatory cooperation on standards development, and incorporation by reference of voluntary standards in federal regulations. Her tenure at the CPSC included advising the agency on the implementation of the Consumer Product Safety Improvement Act, a sweeping change to its statutes that had an impact across diverse industry sectors. She also acted as the CPSC's appointed government member of the Administrative Conference of the United States, participating on the Committee on Regulation. Ms. Falvey serves as co-chair of the American Bar Association’s Internet of Things Committee, Science & Technology Law Section. Prior to joining the CPSC, Ms. Falvey had over 20 years of private practice experience as a partner with another international law firm where she chaired the firm's D.C. litigation practice. Defense of automobile manufacturer in a class action alleging security vulnerability that makes the cars susceptible to third-party hackers. Defense of a food manufacturer in class action and consumer protection cases involving allegations of misleading labeling of product ingredients. Defense of a national fast food retailer in class action alleging consumer fraud in the marketing of foods as trans fat free. Defense of cell phone manufacturers in MDL class actions and mass tort cases — one related to alleged defects in call processing technology, and another involving product liability allegations that cell phones caused plaintiffs' brain cancer. Defense of multiple CPSC agency enforcement actions alleging failure to report alleged defect in recalled products. Prosecution of indemnification claim regarding liability for alleged chronic beryllium disease contracted by dental technicians during use of dental alloys manufactured using beryllium. Defense of patent infringement case regarding various methods of streaming audio content over the internet in connection with online radio service; case settled after several weeks of trial in federal court in Corpus Christi, Texas. Prosecution of Lanham Act false advertising and trademark infringement case involving the marketing and sale of exchanged traded funds. Defense of a South Carolina Deceptive Trade Practices Act claim that grocery stores conspired to refuse to sell barbecue sauce because of client's political position regarding the removal of the South Carolina flag from the state house. Defense of toxic tort litigation regarding client's catalyst products and allegations related to lung disease caused by exposures in the Virgin Islands and successfully developed sophisticated intermediary defense. Defense of refinery in cases alleging community exposures to chemicals as a result of refinery explosion releasing hydrofluoric acid; tried bellwether case to defense verdict and settled remaining cases. Dismissal on summary judgment after argument in New York State Appellate Division of worker claims of negligence, strict product liability, breach of warranty, and fraud regarding talc exposures in defendant's mining operations. Prosecution of breach of contract, product liability, false advertising and unfair competition claims on behalf of a consumer product manufacturer against a home shopping network. Prosecution of an injunction proceeding for industrial product manufacturer against a competitor for trade secret misappropriation and patent infringement in the Western District of Virginia; case settled favorably after court granted motion for preliminary injunction. Prosecution of a challenge to EPA rulemaking on chemical issues for failing to provide due process as required under the Administrative Procedure Act. Advising several international consumer product manufacturers and retailers with regard to upgrading compliance and crisis management plans, including its call center processing and data collection efforts, to enhance safety and compliance programs and ensure timely reporting of safety-related matters to the CPSC, FDA, and NHTSA. Counseling a consumer electronics manufacturer and retailer with regard to the launch of a children's product, including testing and certification requirements, required product labels, product manuals, and warnings with regard to product use. Advising a consumer electronics manufacturer regarding interconnectivity of products on the Internet of Things, including security and interference testing, FTC and FCC expectations, and warranties, warnings, and disclaimers. Counseling a bicycle manufacturer with regard to defect analysis on both bicycle components and bicycle helmet compliance and CPSC reporting issues and recalls. Advising a toy manufacturer on advertising product features to children and alleged misrepresentations on product packaging. Reporting choking hazards to the CPSC on behalf of several clients, including a juvenile products manufacturer of infant child care articles and a toy manufacturer. Responding to FTC investigation of Made in America claims with regard to products sold for both consumer and government use and advising on process improvements to ensure compliance. Advising a fashion retailer on FTC textile and country of origin labeling, faux fur requirements, and requirements with regard to state green chemistry laws. Negotiating voluntary corrective action plans with the CPSC and NHTSA with regard to consumer products and automotive components and accessories. Counseling on anti-counterfeiting issues and CPSC compliance issues with regard to components of consumer electronics products, including lithium ion batteries and battery cells, chargers warranty terms, and service contract arrangements with regard to the sale of building products and consumer products. Advising a fashion retailer in connection with CPSC investigation into alleged violations of the federal flammability requirements. Responding to FTC inquiries and related regulatory counseling regarding product advertising and labeling issues, including biodegradability claims, slack fill packaging, Made in America, and "up to" claims. Counseling on whether after-sale complaints trigger reporting obligations at CPSC, FDA, or NHTSA, including analysis of acute hazards, such as fire and mechanical failures, and chronic issues, such as exposure to mold or the chemicals used in production of the products. Counseling on warranty terms and service contract arrangements and transferability with regard to the sale of building products and consumer products. Advising automobile manufacturers regarding privacy compliance, including in connection with the incorporation of cameras on dashboards and the black box information collected and stored in automotive equipment. Representing a manufacturer of computers and telecommunications equipment regarding privacy and data breach issues when refurbished products allegedly were not wiped clean and subsequently resold online. Advising a health care provider regarding a network intrusion and security breach, coordinating internal investigation and disclosure in accordance with federal and state privacy laws. Counseling a major retailer on the terms and conditions of rewards and gift card programs, including issues related to data collection, privacy, and state escheat laws. Counseling an online marketing firm on compliance with sweepstakes and intellectual property laws regarding an Internet contest in which participants submitted an original recording of a song in order to win a prize. Counseling of a major grocery store chain in regard to its annual sweepstakes contests, including drafting of the official rules and review of print, radio, television, and Internet advertisements. Counseling a national retail chain regarding compliance with COPPA and state sweepstakes laws applicable to a children's art contest involving selection of the artwork to be used on a charitable organization's yearly holiday card. "Recalls Gone Wrong," PLAC Webinar (April 10, 2019). Panelist: Cheryl A. Falvey. "Courting IoT: The Latest IoT Litigation and Liability Issues," ABA’s 4th Annual IoT National Institute, Washington, D.C. (March 28, 2019). Panelist: Cheryl A. Falvey. "What the CPSC Looks for When Dealing with Recreational Products," 2019 DRI Product Liability Conference, Austin, TX (February 6, 2019). Presenter: Cheryl A. Falvey. "Seminar: Consumer Products 101," 2018 Retail Law Conference, Austin, TX (October 11, 2018). Panelist: Cheryl A. Falvey. "Brave New World: How New and Emerging Technologies Are Changing the Class Action Landscape," ABA - 5th Annual Western Regional CLE Program on Class Actions and Mass Torts, San Francisco, CA (June 22, 2018). Presenter: Cheryl A. Falvey and Josh Thomas Foust. "Practical Lessons In Identifying Risk, Using Effective Tools to Manage It, and Using Data to Meet Regulatory Obligations - In Other Words, How to Stay Out of Trouble!" ICPHSO 2017 Annual Meeting and Training Symposium, Orlando, FL (February 22, 2017). Presenter: Cheryl A. Falvey. "Recent Developments in Food Class Action Litigation," Perrin Conferences - Food & Beverage Litigation Conference, New York, NY (October 18, 2016). Presenter: Cheryl A. Falvey. "IoT on Trial: Mass Torts, Class Actions, and Theories of Liability," ABA-National Institute on the Internet of Things, Washington, D.C. (March 31, 2016). Presenter: Cheryl A. Falvey. Bloomberg BNA - What You Need to Know When Developing Smart Apparel, Webinar (March 24, 2016). Presenters: Cheryl A. Falvey and Lisa A. Adelson. 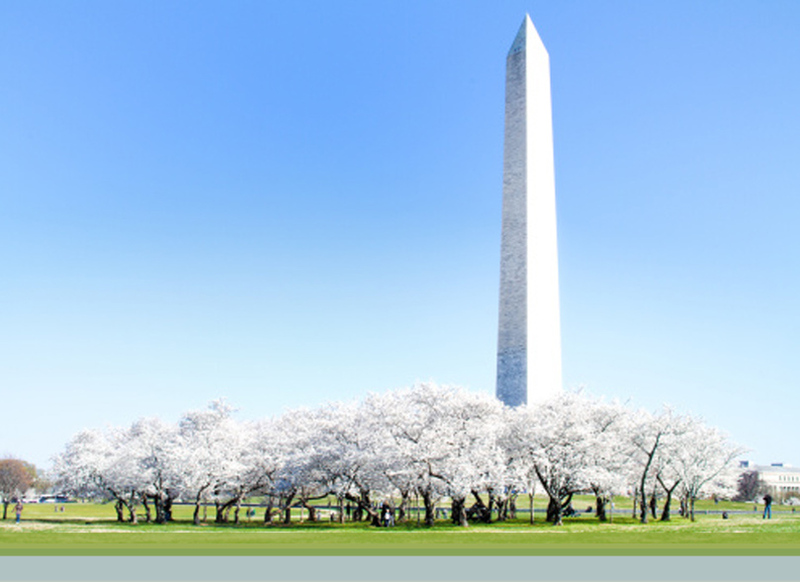 “Anatomy of a Product Safety Crisis,” International Consumer Product Health & Safety Organization (ICPSHO)’s Annual Meeting & Training Symposium, Washington, D.C. (March 1, 2016). Moderator: Cheryl A. Falvey. "The Regulatory Framework of Labeling and Disclosure," Federal Bar Association's 2016 Fashion Law Conference, New York, NY (February 12, 2016). Presenters: Cheryl A. Falvey and Frances P. Hadfield. "It’s All Connected: Minimizing Litigation and Regulatory Risk on the Internet of Things," 27th Annual All Hands Meeting, Santa Clara, CA (October 28-29, 2015). Presenters: Cheryl A. Falvey and Gregory D. Call. "The Fusion of Fashion & Technology: The Emerging Legal Landscape for the Fashion Industry in the Digital Media Age," Crowell & Moring and U.S. Fashion Industry Association, Webinar (October 20, 2015). Panelists: Cheryl A. Falvey, Lora A. Moffatt and Frances P. Hadfield. "Building a Compliance Program," 2015 Advanced Product Safety Management Course, St. Louis, MO (September 30, 2015). Presenter: Cheryl A. Falvey. "Who's The Regulator? What's The Rule?" and "What's A Reg? What's A Standard? And What's The Difference?," Promotional Products Association International Product Safety Summit 2015, Bethesda, MD (September 29, 2015). Presenter: Cheryl A. Falvey. "New Rules of Digital Marketing - Avoiding the Legal & Regulatory Pitfalls," Women's Wear Daily and Crowell & Moring, New York, NY (September 16, 2015). Presenters: Cheryl A. Falvey, David Ervin, and Lauren Chesterman (Ralph Lauren Corporation). "Who's the Regulator? What’s the Rule?" ICPHSO's Spring Symposium, Wayne, NJ (June 18, 2015). Presenter: Cheryl A. Falvey. "SFIA's Latest on the CPSC and How to Effectively Address Its Rulings," Sports & Fitness Industry Association (SFIA) Webinar (June 4, 2015). Presenter: Cheryl A. Falvey. "Privacy, Security, and the Internet of Things: The Looming Crisis," ABA live Webinar (March 10, 2015). Presenter: Cheryl A. Falvey. "Retailers as Regulators: Working with Retailers to Create Sustainable Cosmetics Products," ACI's 2nd Annual Legal, Regulatory and Compliance Forum on Cosmetics, New York, NY (March 2-4, 2015). Presenter: Cheryl A. Falvey. "Product Safety Letter's Green Chemistry - Product Safety Update," Crowell & Moring Webinar (February 18, 2015). Presenter: Cheryl A. Falvey. "The Fusion of Fashion and Technology: The Emerging Legal Landscape for the Fashion Industry in the Digital Media Age," Crowell & Moring and Volunteer Lawyers of the Arts Program, New York, NY (February 17, 2015). Moderator: Preetha Chakrabarti; Speakers: Cheryl A. Falvey and Lora A. Moffatt. "Current Expectations and Trends Related to Consumer Product Safety Commission (CPSC) Recalls," 2015 SFIA Litigation & Risk Management Summit, Las Vegas, NV (February 2-3, 2015). Speaker: Cheryl A. Falvey. "Retailers as Regulators: Working with Retailers to Create Sustainable Cosmetics Products," ACI's 2nd Annual Legal, Regulatory, and Compliance Forum on Cosmetics, New York, NY (January 27-28, 2015). Presenter: Cheryl A. Falvey. "Planning for Litigation in the Midst of a Recall," ABA Women in Products Liability and The Women of the Section of Litigation: Leading, Litigating & Connecting, Chicago, IL (November 5-7, 2014). Presenter: Cheryl A. Falvey. "CPSC Voluntary Product Recall Update," Sports & Fitness Industry Association (SFIA) Webinar (October 23, 2014). Presenter: Cheryl A. Falvey. "Advertising Practices: Social Media, Endorsements & Overstock," 2014 Retail Law Conference, Charlotte, NC (October 15-17, 2014). Presenters: Cheryl A. Falvey, Christopher A. Cole, and David Ervin. "Current Trends at the CPSC: Penalty Investigations, Information Disclosure and Administrative Litigation," AHAM 2014 Product Safety & Liability Seminar, Arlington, VA (September 30, 2014). Presenter: Cheryl A. Falvey. "Retailer as Regulator: Sustainable Chemistry Initiatives Defining Product Composition," International Fragrance Association (September 29, 2014). Presenters: Cheryl A. Falvey and Laura Jastrem Walther. "Building a Scalable Compliance Program for a Small Business," PPAI Promotional Products Industry Product Safety Summit (August 13, 2014). Keynote Speaker: Cheryl A. Falvey. "Retailer as Regulator: Sustainable Chemistry Initiatives Defining Product Composition," 2014 AAFA Product Safety Council Meeting (July 29, 2014). Presenter: Cheryl A. Falvey. "The Regulatory Challenges and Litigation Risks of Green Chemistry Initiatives: The Phthalates Example," Flexible Vinyl 25th Annual Compounders Conference, Williamsburg, VA (July 15, 2014). Presenter: Cheryl A. Falvey. "Navigating the New Regulatory Landscape: Developments in Consumer Protection, Advertising and Privacy at the Agencies and in the Courts," Association of Corporate Counsel, Southern California (June 26, 2014). Presenters: Steven D. Allison and Cheryl A. Falvey. "Consumer Products Regulation & Litigation," ACI 2nd Annual Summit, Chicago, IL (June 11-12, 2014). Co-Chair: Cheryl A. Falvey. "The Regulatory Environment: Consumer Product Safety Improvement Act of 2008" and "Reflections of 2 Former CPSC General Counsels," Regulatory Compliance Workshop, Saint Louis University, John Cook School of Business – Center for Supply Chain Management (May 21, 2014). "Overview & Guidance to New Proposed Mandatory CPSC Voluntary Product Recall Regulations," SFIA Legal Task Force Thought Leadership Webinar (March 27, 2014). Panelist: Cheryl A. Falvey. "6(b) Information Disclosure - CPSC's Coming Changes," Product Safety Letter Webinar (March 19, 2014). Presenter: Cheryl A. Falvey. "California's Safer Consumer Products Regulation: Are You Ready? Technical and Legal Strategies to Prepare Now!" Webinar (March 13, 2014). Presenters: Cheryl A. Falvey and Monica M. Welt. "CPSC/ABA - Afternoon Plenary Panels - Important Legal Developments/Updates," ICPHSO's 2014 Annual Meeting and Training Symposium (February 25-28, 2014). Speaker: Cheryl A. Falvey. "Prop 65...It Changes Everything," 2014 Casual Living Conference, Orlando, FL (February 20, 2014). Presenter: Cheryl A. Falvey. "How Will the New California Regulations Impact Your Business? Safer Consumer Products in California," American Cleaning Institute, Orlando, FL (January 29, 2014). Presenter: Cheryl A. Falvey. "Retailers as Regulators: Working With Retailers to Create Sustainable Cosmetics Products," ACI's 2nd Annual Legal, Regulatory, and Compliance Forum on Cosmetics, New York, NY (January 26-28, 2014). Presenter: Cheryl A. Falvey. "Navigating the New Consumer Product Regulatory Landscape," RILA's Retail Law Conference 2013, Phoenix, AZ (October 17, 2013). Presenters: Cheryl A. Falvey and Jennifer S. Romano. "September Consumer Protection Update," ABA Section of Antitrust Law, Consumer Protection, Private Advertising Litigation, Privacy and Information Security, and Corporate Counseling Committees Webinar (September 20, 2013). Panelists: Christopher A. Cole, Cheryl A. Falvey, and Michael L. Kuppersmith. "3rd Safer Consumer Products Summit: National Policy Outlook," Almas Temple Club, Washington, D.C. (September 17-19, 2013). Panelist: Cheryl A. Falvey. "Changes in U.S. Chemical Laws: Impacts of TSCA Modernization," Crowell & Moring Webinar (September 4, 2013). Presenters: Cheryl A. Falvey, Warren Lehrenbaum, John Phillips, and Josh Tzuker. "How to Comply with the FTC's Green Guides," ACI's 3rd Advanced Regulatory and Compliance Summit of Food & Beverage Marketing and Advertising, Washington, D.C. (July 18, 2013). "Minimizing Company Harm from No Injury Class Actions—How Regulatory Enforcement Fuels Class Actions," "View from the Bench: The Judicial Perspective of Trying a Products Liability Case from Administering Multi-District Litigation, Controlling Discovery and Motions Practice to the Trial Phase and Settlement," American Conference Institute, Consumer Products Regulation & Litigation Seminar (June 26-27, 2013). Presenter, Moderator, and Co-Chair: Cheryl A. Falvey. "Strategies for Success at the CPSC," Outdoor Power Equipment Association, Annual Meeting 2013, Williamsburg, VA (June 19, 2013). Presenter: Cheryl A. Falvey. "Hot Topics at the CPSC: Administrative Actions, Compelled Compliance Programs, and the CPSC Public Database," Product Liability Advisory Council, Spring Meeting, Colorado Springs, CO (April 25, 2013). Presenters: Cheryl A. Falvey, Commissioner Robert S. Adler, Former Commissioner and Congresswoman Anne M. Northup. "The CPSC's Publicly Searchable Database," Section of Litigation Roundtable Webinar (April 11, 2013). Presenters: Cheryl A. Falvey; Scott Michelman (Public Citizen). "What is Happening at the CPSC? : Making Sense of the Enforcement Activity and Administrative Cases" (April 2, 2013). Presenter: Cheryl A. Falvey. "Designing Safety Into Your Product from the Start," Staying Afloat When Your Brand is Under Pressure: How to Avoid, Mitigate and Manage Product Crises, Crowell & Moring, Washington, D.C. (March 19, 2013). Presenter: Cheryl A. Falvey. "Consumer Protection and What Obama's 2nd Term Means to Your Business (Including Advertising; Data/Privacy Protection; Product Safety & More)," Association of Corporate Counsel San Francisco Bay Area Chapter, San Francisco and Palo Alto, CA (February 12-13, 2013). Presenters: Bridget E. Calhoun; Christopher A. Cole; Cheryl A. Falvey; John Fuson. "State of the Art of Endocrine Disruptor Science, Regulation and Litigation," Webinar (November 20, 2012). Presenters: Cheryl A. Falvey, Clifford J. Zatz, (with James C. Lamb IV, Ph.D., DABT, Principal Scientist, Exponent; Barbara H. Neal, DABT, Senior Managing Scientist, Exponent). "Understanding U.S. Product Safety Apparel Requirements and Risk-Based Targeting at the Border," Canadian Apparel Federation Webinar (October 17, 2012). Presenters: Bridget E. Calhoun, Cheryl A. Falvey, Natalia R. Medley and Jini Koh. "International Regulatory Cooperation and Incorporation by Reference of Voluntary Standards," U.S. Chamber of Commerce, ACUS Recommendations Implementation Summit, Washington, D.C. (May 2012). Panel Member: Cheryl A. Falvey. "Xie Xie: Thanks for Using our Chinese Drywall...and our Toxic Toys, Importing Products from China Implications for Quality and Safety," ABA Section of Litigation, Annual CLE Conference, Washington, D.C. (April 2012). Panel Member: Cheryl A. Falvey. "Civil Penalties," International Consumer Product Health and Safety Organization, Annual Meeting, Orlando, FL (March 2012). Panel Member: Cheryl A. Falvey. "Current Developments in Products Safety: Implications for the Supply Chain," Retail Industry Leaders Association, Retail Law Conference, Chicago, IL (November 2011). Presenter: Cheryl A. Falvey. "CPSC's New Public Database," Defense Research Institute, Product Liability Conference, New Orleans, LA (April 2011). Presenter: Cheryl A. Falvey. "Compliance with the CPSIA," Sporting Goods Manufacturers Association Litigation and Risk Management Summit, New Orleans, LA (April 2011). Presenter: Cheryl A. Falvey. "The CPSC's New Public Database" and "Mock Jury Exercise, CPSC Penalties for Late Reporting," International Consumer Product Health and Safety Organization, Annual Meeting, CPSC Day, Orlando, FL (February 2011). Panel Member: Cheryl A. Falvey. "Update on CPSIA Implementation," Consumer Specialty Products Association, CSPA Annual Conference, Bethesda, MD (September 2010). Presenter: Cheryl A. Falvey. "Third Party Conformity Assessment and Certification and the Drugstore Distribution Chain," Healthcare Distribution Management Association 2010 Distribution Management Conference, Baltimore, MD (March 2010). Presenter: Cheryl A. Falvey. "Status of CPSIA Implementation," International Consumer Product Health and Safety Organization, Annual Meeting, CPSC Day, Washington, D.C. (February 2010). Presenter: Cheryl A. Falvey. "The First 365 Days of the Administration CPSIA and the Brave New World of Consumer Product Regulation," International Association of Defense Counsel, Naples, FL (February 2010). Presenter: Cheryl A. Falvey. "Imported Product Safety: Developing Customized Controls to Meet Higher Safety Standards," American Conference Institute, Washington, D.C. (October 2009). Panel Member: Cheryl A. Falvey. "How CBP and CPSC are Enforcing the New Rules," American Conference Institute, Washington, D.C. (April 2009). Panel Member: Cheryl A. Falvey. "Reflections on the Regulatory Policy Embraced in the CPSIA: Predictions on the Implication for Food Safety," FDLI & FDA 52nd Annual Conference, Washington, D.C. (April 2009). Presenter: Cheryl A. Falvey. "Update on Implementation of the Consumer Product Safety Improvement Act," Spriggs and Hollingsworth, 21st Annual Seminar on Toxic Torts and Pharmaceutical Litigation (April 2009). Presenter: Cheryl A. Falvey. "A Look at Reform in Foreign Jurisdictions by Learning from the U.S. Experience," Lawyers for Civil Justice, Canadian Embassy, Washington, D.C. (April 2009). Presenter: Cheryl A. Falvey. "New Regulatory Requirements under the CPSIA," International Consumer Product Health and Safety Organization, Annual Meeting, CPSC Day (February 2009). Presenter: Cheryl A. Falvey. "Analyzing and Handling a Product Recall," Women in Products Liability, Ninth Annual Regional CLE, New York (November 2008). Presenter: Cheryl A. Falvey. "Marketing: Winning the Prize," Association of Corporate Counsel, ACC's Annual Meeting (October 2005). Panel Member: Cheryl A. Falvey. "Straightening Your CAP After a Recall – Tips for Following a Corrective Action Plan," Crowell & Moring's Retail & Consumer Products Law Observer (March 21, 2019). Author: Cheryl A. Falvey. "Trade Winds: How Global Businesses Are Navigating Trade, Tariffs, and the Uncharted Waters Ahead," Crowell & Moring's Regulatory Forecast 2019 (February 27, 2019). Contributors: Ambassador Robert Holleyman, David R. Stepp, Cheryl A. Falvey, Frederik Van Remoortel, Teresa Stanek Rea, Carlton Greene, and John B. Brew. "NIST Surveys and Assesses Broad Landscape of IoT Cybersecurity Standards in Interagency Report," Crowell & Moring's Data Law Insights (December 26, 2018). Authors: Cheryl A. Falvey, Gabriel M. Ramsey, Kate M. Growley, CIPP/G, CIPP/US and Paul Mathis. "New Internet of Things (IoT) NIST Draft Publication Provides Welcomed Guidance," Crowell & Moring's Data Law Insights (October 17, 2018). Authors: Cheryl A. Falvey, Kate M. Growley and Michael G. Gruden. "CPSC Reaction To Consumer Misuse May Cost Companies," Law360 (May 3, 2018). Authors: Cheryl A. Falvey, and Stephanie L. Crawford. "CPSC Reaction to Consumer Misuse – Human Factors Design Process," Crowell & Moring's Retail & Consumer Products Law Observer (April 19, 2018). Authors: Cheryl A. Falvey and Stephanie L. Crawford. "Safety Agencies after Trump’s “2 for 1” Executive Order: What it May Mean for Regulating the Safety of IoT and other Emerging Technologies," Crowell & Moring's Retail & Consumer Products Law Observer (March 22, 2017). Authors: Cheryl A. Falvey and John Fuson. "Consumer Review Fairness Act of 2016 — Beware of the Negative Online Review," Crowell & Moring's Retail & Consumer Products Law Observer (December 28, 2016). Authors: Cheryl A. Falvey, Clifford J. Zatz, and Joseph L. Meadows. "Crumb Rubber Turf Wars: The Attack on Synthetic Turf Playing Fields," Westlaw Journal Asbestos, 38 No. 17 (June 10, 2016). Authors: William L. Anderson and Cheryl A. Falvey. "CPSC Issues $15.45 Million Penalty at the Statutory Maximum," Crowell & Moring's Retail & Consumer Products Law Observer (March 25, 2016). Authors: Cheryl A. Falvey and Natalia R. Medley. "Torts - New Technologies Reshape Product Liability," Crowell & Moring's Litigation Forecast 2016 (January 2016). Contributor: Cheryl Falvey. "California Supreme Court Rules That Federal Law Does Not Preempt State-Law Claims Over Truthfulness of 'Organic' Labels," Crowell & Moring's Retail & Consumer Products Law Observer (December 9, 2015). Authors: Cheryl A. Falvey and Amy E. Mersol-Barg. "Risk And Reward For Industry In EPA 'Safer Choice' Label," Law360 (April 28, 2015). Authors: Cheryl A. Falvey, Warren Lehrenbaum, Monica M. Welt, and Daniel H. Leff. "To Connect with Consumers on the Internet of Things, Build Security Into Products from the Start," Crowell & Moring's Retail & Consumer Products Law Observer (January 27, 2015). Author: Cheryl A. Falvey. "The FTC 'Pins' Cole Haan on Pinterest Campaign: Disclosure of Contest Driving Endorsement of Products Required," Crowell & Moring's Retail & Consumer Products Law Observer and The Secure Times, ABA Section of Antitrust Law Privacy & Information Security Committee (April 28, 2014). Co-Authors: Cheryl A. Falvey and Kate M. Growley. "What Modernization of CSPC's Information Disclosure Rules Could Mean for Product Manufacturers," Crowell & Moring's Retail & Consumer Products Law Observer (March 5, 2014). Co-Authors: Cheryl A. Falvey and Natalia R. Medley. "Upsetting the Confidentiality Balance? : CPSC Proposes Revisions to Its Section 6(b) Information Disclosure Regime," Washington Legal Foundation, Vol. 29, No. 4 (February 28, 2014). Co-Authors: Cheryl A. Falvey and Natalia R. Medley. "Litigation: How to Scale Back the Hazards of Regulatory Challenges and the Litigation that Follows," InsideCounsel (February 27, 2014). Co-Authors: Kent A. Gardiner and Cheryl A. Falvey. "CPSC Voluntary Recall Rule and the Impact on Disclosure of Manufacturer Self-reports Under Section 15(b)" Crowell & Moring's Retail & Consumer Products Law Observer (January 9, 2014). Co-Authors: Cheryl A. Falvey, Natalia R. Medley, and Laura Jastrem Walther. "Regulatory Reform Regulating Interconnectivity on the 'Internet of Things,'" New York Law Journal (December 16, 2013). Co-Authors: Kelly T. Currie, Cheryl A. Falvey, and Dina Epstein. "'Natural' & 'Sustainable': Risks of Using Undefined Terms in Food Marketing," 35th Annual Marketing Law Conference (November 2013). Author: Cheryl A. Falvey. "California Green-Lights Its Green Chemistry Regulations," DRI, Vol. 16, Issue 3 (November 6, 2013). Co-Authors: Warren Lehrenbaum, Cheryl A. Falvey, Kevin C. Mayer, and Joshua Kaplowitz. "Are You Up To Speed? NHTSA Reporting Requirements Are Changing," ABA Section of Litigation (October 28, 2013). Co-Authors: Scott L. Winkelman, Cheryl A. Falvey, Daniel T. Campbell, Rebecca Baden Chaney, and Michael L. Kuppersmith. "Legislative Proposal Announced to Repeal Requirement that Car Seats Contain Allegedly Hazardous Flame Retardant Chemicals," Crowell & Moring's Retail & Consumer Products Law Observer (July 15, 2013). Author: Cheryl A. Falvey. "RCRA Challenges Faced by Retailers," Crowell & Moring's Retail Law Observer (June 10, 2013). Author: Cheryl A. Falvey. "CPSC Proposed Significant Changes and New Obligations for Importers Relating to Certificates of Compliance," Crowell & Moring's Retail Law Observer (May 21, 2013). Author: Cheryl A. Falvey. "Focus On Retailers At ICPHSO 2013," Crowell & Moring's Retail Law Observer (March 8, 2013). Co-Authors: Cheryl A. Falvey, Bridget E. Calhoun, and Natalia R. Medley. "Falvey Discusses Testing and Other Issues," Product Safety Letter (December 10, 2012). Co-Authors: Sean Oberle and Cheryl A. Falvey. "Tight Teamwork for Successful Promotions," Chapter in Inside the Minds: Advertising and Marketing Law Client Strategies, p.119. Aspatore Books (2007). Author: Cheryl A. Falvey. "Disclosure of Security Breaches Required by New California Privacy Legislation," The Metropolitan Corporate Counsel (August 2003). Co-Authors: Cheryl A. Falvey, Elaine M. Laflamme, and Michael A. Oakes. "Legal Compliance Issues Governing Online Sweepstakes," The Metropolitan Corporate Counsel (May 2001). Co-Authors: Cheryl A. Falvey and Daniel E. Pollner. "Crash: Avoiding Legal Disaster on the Information Superhighway," The Metropolitan Corporate Counsel (June 2000). Author: Cheryl A. Falvey. Q&A Feature: "Falvey Discusses Testing and Other Issues with Product Safety Letter"